Liquid product formulated with phosphoric acid inhibited and surfactants. 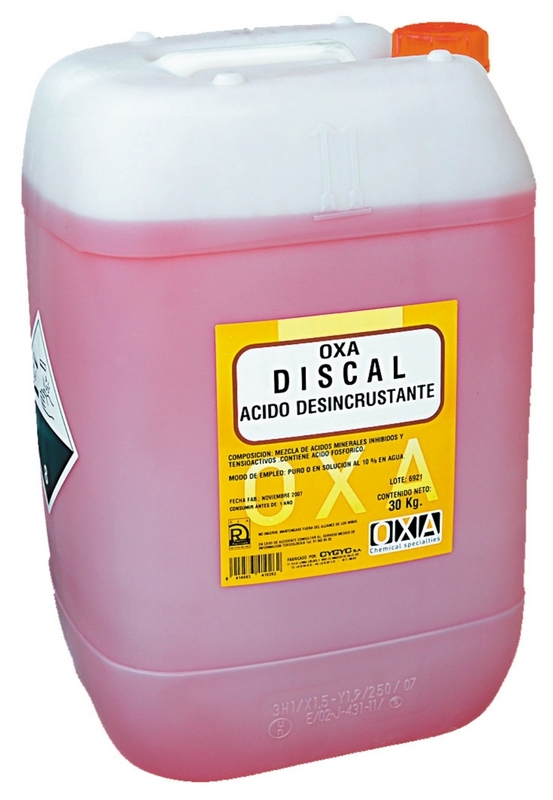 OXA - DISCAL, having a strong detergent and descaling action of calcium and magnesium salts. Its low corrosivity allows its use on soft metals such as aluminum, copper, etc.